The Happily Ever After Giveaway Hop has begun! Who doesn't love a happy ending despite the genre or age group? This hop, hosted by I Am A Reader, Not A Writer & Murphy's Library, has to feature a "fairy tale or a book with a happy ending." When tragedy brings her back to town, Tobin and Delia realize that time apart hasn't healed either one of them. But staying away from each other is harder than they imagined, especially in small town Louisiana, and old feelings are quickly brought back to the surface. Briar Thompson had it all. The right clothes, the right friends, the right car. Being popular was all that mattered. Her parents were rich and treated like royalty throughout the community. She thought her senior year of high school was going perfectly, until the night her drink was spiked at a party by one of her so called friends. 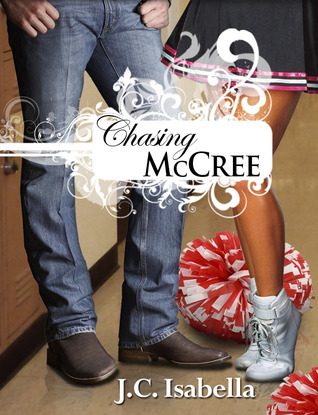 That was the night she met Chase McCree. Chase wanted to go back to Montana. To the ranch and the wild, wide blue sky that went on forever. He wanted nothing to do with flashy cars or spoiled rich kids. But he found himself head over boots for the quirky cheerleader who turned her back on her social status. She befriended him when no one else would. Shunned and hurt by the people who were once her friends, Briar flees with Chase to his family ranch in Montana. There she discovers another world, and apart of herself she never knew. The cowboy wasn’t like anyone she’d ever met. The cheerleader wasn’t like anyone he’d ever met. Apart their lives didn’t seem to make sense, but together, they were chasing forever. Amazing books! I really want to read them all! Thanks! These books all look terrific. I'd love to read them.